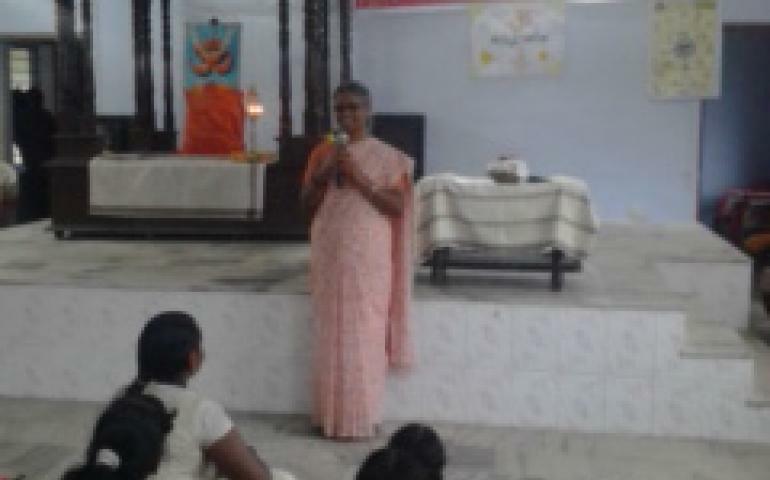 Vivekananda Kendra Kanyakumari, Nagerkoil Branch conducted GuruPurnima programme at two places. One at Terivilai Village in which we had the Grama Sampark during Rashtriya KPS. Follow up of this we had yoga satra and yoga varga. Adaraneeya Radha didi felicitated Guru Purnima programme. She told the stories on Gurumahima. Yoga varga sisters did yoga demonstration, Patriotic song and Guru Bhajan. There were 60 people gathered on 23rd July, Monday. Another one was at Villukuri. Our Nagar Pramukh Smt Savitha Rajesh felicitated the programme. Around 60 people were there.